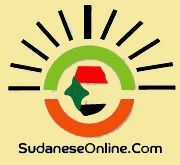 Port Sudan, 10 Nov (SUNA) - The Red Sea State has signed a cooperation agreement with the Sudan Foundation for the implementation of a number of water harvest projects in the state, under the supervision of the Governor Ali Ahmed Hamid. The project includes the establishment of the Halaib locality water Dam, Hafeer of Dardaib and Tokar Wells project. The ceremony was within the programme of provision of basic services provided by the state government. The governor said the project comes within the programmes of upgrading and development of basic skills and provision of basic services with the view to develop human resources in the state. Water Corporation Director in the State, Najii Izzidin, said these projects will be implemented during the coming summer season with the view to improve the drinking water provision in the state.